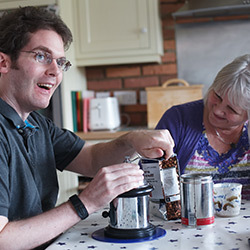 The Brain Injury Group exists to support individuals and families affected by brain injury, and the health and social care professionals working in this specialist field. Our mission is to provide anyone affected by brain injury with access to legal, financial and welfare services delivered by proven experts in the field who have been chosen not only for their skills and knowledge, but also for their passion and dedication to helping people. Whether you are considering making a claim, need other specialist legal advice, are looking information on statutory funding or welfare benefits, or access to a broad range of services and professional support through our online directory, the Brain Injury Group provides a gateway to the support you need. If you’ve suffered a brain injury and think you have a claim, it’s crucial to find a solicitor who understands the complexities of brain injury who can help secure your future.